For National Boss’s Day, we’re celebrating our favorite head ladies in charge. These women take charge in the office, on the throne, in the White House or — in one case — on the spaceship. That 9-to-5 grind can get tiring, but these women manage their work with style and class, and we love them for it. Ever wanted to own your own business, run a doctor’s office, manage interns at a hospital or rule a kingdom? Why not live vicariously through these TV bosses? Jessica Jones is the title character on the Netflix/Marvel series. She owns her own private investigation business and uses her superpowers to go after abusive men. In Defenders, her particular brand of sarcasm keeps the three guys on her team in line. Annalise Keating has her own law practice and works as a professor of law. She’s the kind of lady we don’t want to mess with — but who challenges her pupils and peers in very unexpected ways. 30 Rock gave us Tina Fey at her best. Liz Lemon was always in charge, even when she wasn’t, and her witty repartee made her stand out as a boss. When Cookie Lyon gets out of prison in the first episode of Empire, her first order of business is going after her ex-husband for half ownership in the record label that was funded by her drug money. She is HBIC in every possible way, and she’s willing to do anything to get what she wants. 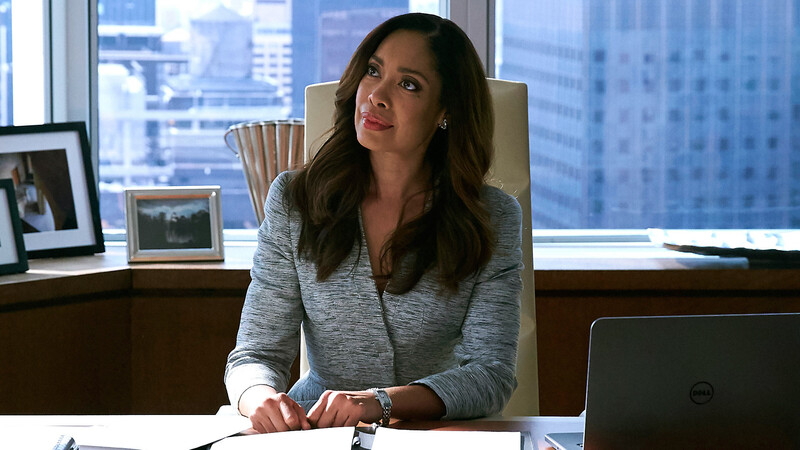 Jessica Pearson, played by the incomparable Gina Torres, is a lawyer at Pearson Specter Litt on the USA series Suits. She’s so strong-willed and fierce that she often outshines the show’s main characters… which may be why she has her own spin-off pilot in the works. Elaine Barrish leaves her cheating husband (who just so happens to be the President of the United States) and then goes on to accomplish major political milestones of her own. She’s a matriarch, a political leader and a diplomat, and she deserved more than just a miniseries. Colleen Wing runs a dojo for at-risk youth in New York City. She believes that getting kids involved in something will give them a better shot at succeeding in life, and she works to find scholarships to help them achieve their dreams. She’s a philanthropist as well as a boss, which is the best kind of boss to be. Vice Admiral Kathryn Janeway was the lead character on the TV series Star Trek: Voyager, which aired on UPN from 1995 to 2001. She was captain of the USS Voyager, one of the most technically capable ships in the fleet. She was, until recently, the only female Star Trek character to be the main protagonist in a Star Trek series or film. Leslie Knope is one of the single most determined career women who’s ever graced our TV screens. As a public servant in the parks and recreation department of Pawnee, Indiana, Leslie seeks to motivate her staff — and herself — to give 110 percent, all the time, even when it’s hard or scary. Mindy Lahiri is a doctor with absolute confidence in her ability to be not only an amazing leader but also an amazing, fun woman with an active social life. She’s fun and quirky without being off-putting or too demanding, and we love her for that. Lorelai Gilmore worked her way up from a homeless maid to the co-owner of her very own inn. She’s loud, bossy and just a little flirty — which makes her father super uncomfortable when he comes to visit her at work. Lorelai makes a point to get to know every single one of her employees and cater to their needs as much as she possibly can. Olivia Pope is the woman behind the president’s success on Scandal. On the surface, she’s a PR person, but she’s also so much more. Unafraid to ask tough questions, put people in difficult positions or assert her authority to get something done, Olivia is a woman to be reckoned with, and she won’t let anything stand in her way. Through the course of The West Wing, CJ Cregg went from White House press secretary to White House chief of staff — a position she earned through relentless pushing, a constant ability to stay on the ball and an ability to spin words in a way that very few other people could. Distasteful Nazi jokes aside, Miranda Bailey’s introduction on Grey’s Anatomy has gone down as one of the most famous introduction scenes of the series. She’s a no-nonsense leader who has zero time for games, excuses or less-than-stellar performances. She has no qualms about pointing out weaknesses or problems, and she demands the best of everyone. As the oldest surviving Stark, Sansa is now running Winterfell. This girl has gone through so much hardship over the course of Game of Thrones, and now she finally gets to be in charge. It’s a much-deserved position of power, and one she has (so far) used for the greater good.